Let us face the facts... customers now control the sales process. I know it's hard for many people in sales to admit it, or accept it, but that doesn't change this fact. 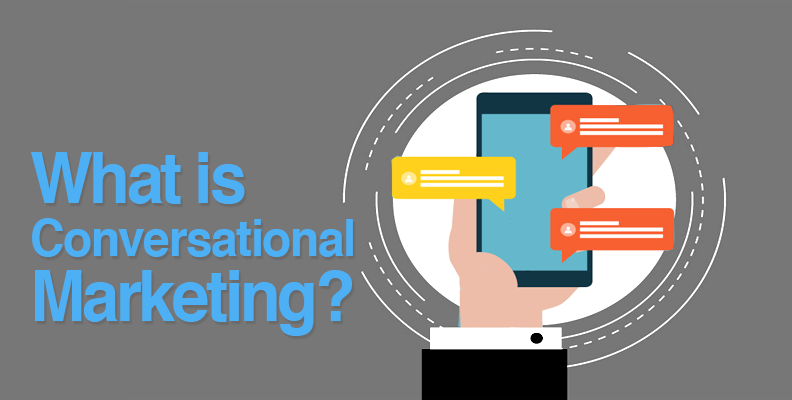 By definition, Conversational Marketing is the ability to have a one-to-one personal conversation across multiple channels - meeting customers how, when, and where they want. Leveraging Artificial Intelligence has forced the days of asking someone to fill out a form in order to qualify a potential customer to quickly be replaced by immediate conversations that customers deem necessary. 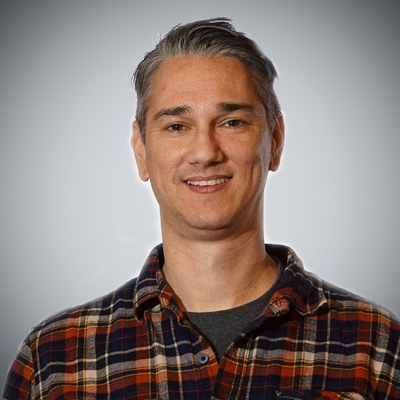 In fact, Salesforce's Mathew Sweezey states 69% of consumers prefer chatbots for quick communication. So, naturally, we adjust. This adjustment has come in the form of Conversational Marketing. You may recognize this as chatbots, live chats, or being offered someone's calendar to choose a time to schedule a meeting directly with a sales agent. It's this convenience and potential real-time interaction with a prospect that has reshaped the way sales, marketing, and support teams communicate with customers and prospects. We now call this "Customer-Time" rather than real-time. Why did this change, you may ask? For starters, more and more people are comfortable with texting on their mobile devices. This translates to leveraging a live chat option online when available. Customers have a question...they want answers immediately. This expected customer-time transaction has become so normalized, that it's almost expected by a customer or prospect. Many people don't see the value in filling out a form just to have a salesperson call or email them a few hours or even days later - they've already moved on to either another company or given up on finding the answers. This friction is what Conversational Marketing alleviates. It removes any reason a prospect or customer may have to move on to another solution. Imagine the future of your company's website or app is driven by intelligent conversations, offering better opportunities to engage with customers, monitoring not just what your customer's need but also their tone. It's not science fiction - it's already upon us. The rise of Conversational Marketing has marketing, sales, and support teams all jockeying for position to build better brand loyalty and positively impact the bottom line. For those already employing an Inbound Marketing Strategy, adding a Conversational Marketing Strategy is a seamless addition. That doesn't mean it's only meant for Inbound methods, but leveraging Conversations is very similar to Inbound methods. The difference is the channel that is used. Opening up chat windows on your site allow the customer-time interaction that is necessary to build from. A great place to start your Conversational Strategy is to leverage your Form Strategy. Start by making sure your chatbot logic is in stride with your existing form logic. Remember to keep your interactions short and to the point. Similar to the form strategy - less is more. Simply whenever possible. The chat strategy should reflect your form strategy based on the context of the interaction and the user's position in the buyer's journey. Once you've decided on the form fields you want to map to your chatbot, now establish how that piece of information will be collected in a real-life scenario. By this, it's time to make it more of a conversation and less of an inhuman form collection. For example, you don't walk up to a stranger and blurt out "Name" and "Phone Number". That would be just weird! In a conversational strategy, you want to be friendly, polite, and helpful. Part of the strategy above is beginning to map out what conversations should take place, where on the site they should reside, and with whom are we having this conversation. 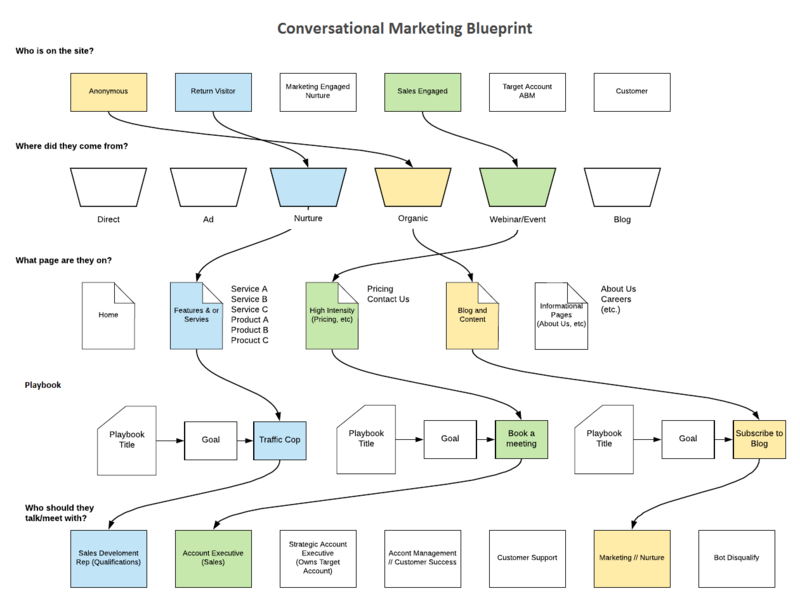 This Conversational Marketing Blueprint may seem daunting at first, however, one of the great weapons we have at our disposal is the ability to add/modify/delete on the fly. Try not to get too overwhelmed by the feeling you need to have all the answers before implementing your strategy. Instead, try to build out 3-5 "Playbooks" (a playbook is similar to a workflow for conversations). The graphic below demonstrates how you may begin to develop these playbooks. This is a great place to visualize how each playbook may be related to who the visitor is; Anonymous, a Return Visitor, or someone engaged in a Sale workflow already. Additionally, as the above graphic highlights, you can follow the path this visitor takes in order to determine what type of Playbook to develop but also based on who you're chatting with, how to write the content or interaction the chatbot may contain. One thing to keep in mind is that there can be multiple playbooks (or goals) for each visitor type. This is where the fun starts. By beginning small, you can create more complex playbooks/conversations based on multiple criteria for various pages visited, types of visitors, and multiple sources. One of the largest reservations of sales teams is the ability to scale that one-to-one conversation. Marketers nor sales teams lack the bandwidth to 'talk' to every lead who pops on their website. But as is the case with most technological advancements, and in this case the rise of messaging in everyone's day-to-day life, scaling is now more realistic. The ability to have dozens of conversations by one sales or support team member is more manageable. In addition, the rise of chatbots to act as an assistant routing visitors to the proper destination or in some cases getting answers to a prospect or customer immediately has made the ability to scale reach to unprecedented levels. 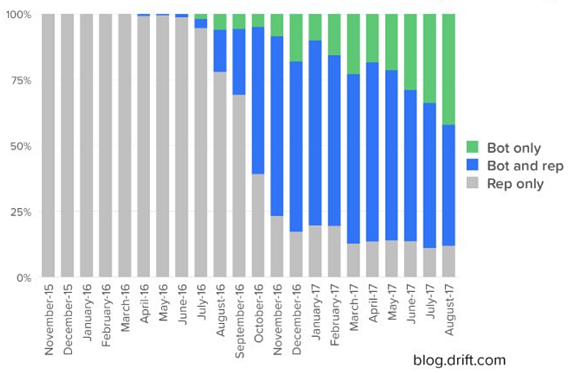 The graphic below, provided by Drift, demonstrates the transition from leveraging the sales rep only to leaning on chatbots only. A Conversation Breakdown: Who's Doing the Talking? Chat messaging on websites aren't all that new either, however, it was largely perceived to be only used as a support tool, offering customers answers or routing them to the proper resource. What's changed is the use of this tool for marketing and sales. Companies now operate in a sales environment that no longer dictates when, where, or how customers engage with them. With real-time messaging buyers expect a new type of experience — where conversations happen on their terms. "Sales reps would never ignore customers who walked into a brick and mortar store. Why should they ignore them when they visited a company’s website?" While steps 1 and 3 are pretty straightforward and typically get most of the attention, step 2 is the problem child. Lead capture forms have become annoying, cumbersome and seemingly outdated to buyers. 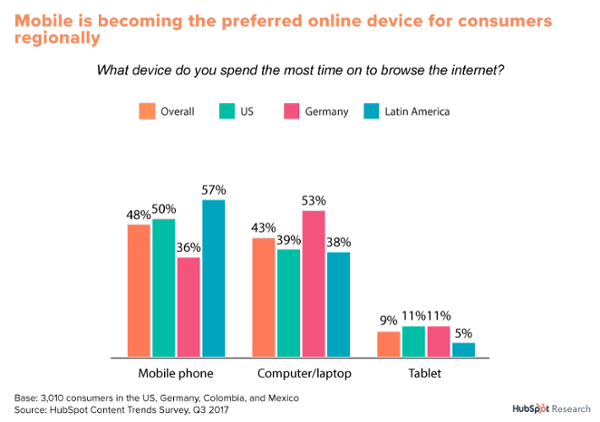 This may have something to do with the increase in use and higher comfort levels in using messaging apps, as stated in Mary Meeker’s 2016 Internet Trends Report, reporting the average consumer has 3 messaging apps on the smartphones and sends on average 3 messages each hour. Don't get me wrong - chatbots are not replacing human-to-human conversations outright. It simply allows the right conversation to occur with the right people (or bot) at the right time. Odd as it may seem, bots are actually allowing marketing and sales to have a more human conversation with potential buyers. Driven by artificial intelligence (AI), conversational marketing is predicted to yield better opportunities to engage with customers, provide untold value from conversations, and monitor not only what your customer needs but also their tone. Long gone are the days when a dozen people sat in a room for an hour or two for you to glean insight into their minds and thoughts of your services and brand. You can now have a virtual focus group at your fingertips and include your entire customer base, 24 hours a day, 365 days a year. Adding to the complexity of customer-time and conversational marketing is the necessity to personalize the conversation at every point possible. Let's say a prospect lands on your pricing page. This is a great opportunity to impress. Don't just welcome them to the website (again), but add context to your conversation: "Hey, this is [your name], I see that you're checking out our pricing page. Let me know if you have any questions." But it doesn't have to end there. By leveraging keywords that you plan for, you can really surprise your customers with responses to something they mentioned in the chat window. For example, we see a lot of people just checking to see if they are chatting with a bot or a human. They may ask: "Are you a bot?" If you plan ahead and have responses ready for the keyword, "bot", you can have a clever comeback or appear fully transparent, which we definitely recommend. Note: The US federal legislation is already reviewing a proposal (The Bot Disclosure and Accountability Act) but has not yet passed. Marketers will have unprecedented opportunities to gather data. In some cases, for instance, a companies name can be leveraged from the user's IP address matching and used in the conversation. This can also help you prospect similar companies that may be competitors of Company A. The future will bring with it a new network of knowledge and an ability to redefine your brand to lead in this new digital economy. This enriched data affords you to customize your message and take personalization to a whole new level. The obvious benefit is offering your customers a more natural and delightful method of obtaining information. By meeting the customer on his or her terms (ie mobile phones) you offer them a way to communicate with your brand on their terms. This does not go unnoticed on your prospects and current customers. The second benefit relates to the valuable customer insights and data that are captured in a great new, unobtrusive method. Your customers are literally telling you what they like, dislike, need, want... about your company. This is simply gold! Now your data is gathered at scale and can be used to optimize for better communication, product improvements, and more helpful content across the board. Conversational Marketing is changing the way companies talk with their customers. It creates seamless and faster interactions than ever before. One of the most important things to remember is to focus on the channel and how your strategy aligns with your overall inbound strategy. The channel should be easy and intuitive for customers and prospects to use and the strategy, if aligned should resonate with your existing marketing strategy. There's nothing new about having conversations between customers and companies. This has been taking place since the beginning of time. Fortunately, we now see technology making tremendous progress on how we leverage these conversations to provide better insight and provide a more meaningful dialogue to occur. Businesses are enabled to stay above the marketing noise by leveraging the personalized information conversations provide. Interactions such as bi-directional or chatbots build stronger, longer, and more loyal relationships. Let's face it, messages get lost in the shuffle. Conversational marketing breaks through the clutter and delivers relevant communication at the right time.